Cruyff Turn Definition - What Does Cruyff Turn Mean? What is the meaning of the term Cruyff Turn when it comes to the game of soccer? First things first. Johan Cruyff was a legendary Dutch footballer, who famously played for Ajax and Barcelona and later coached the two teams - all very successfully. He won the Ballon d'Or three times as a player and is regarded as one of the top talents in the history of the sport. He is also regarded as one of the greatest footballing minds in general. Back to the Cruyff Turn. At the 1974 World Cup in Germany, in which he led Netherland to the tournament final, Johan Cruyff showcased a move never before seen on the football pitch. The move, which ended up being called the Cruyff Turn, was an evasive, deceptive feint move, that left the opposing player frozen and rather confused. Instead of trying to explain the Cruyff Turn in words, it is perhaps better to post a video of it, as the best part of it is the motion and elegance of execution. This move became Cruyff's signature maneuver. The Cruyff Turn, every now and then is used in today's game also. 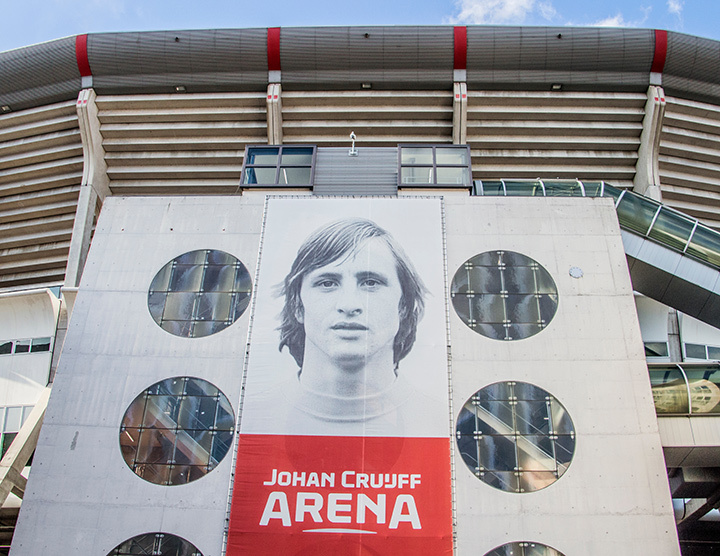 The Johan Cruyff Arena in Amsterdam, home of Ajax FC, is named after the legendary Dutch player.